• BCAAs are also the only aminos that are directly metabolized in the muscle as opposed to the liver. Directions: For adults, take four (4) softgels immediately after your workout. You can take an additional four (4) softgels before your workout for enhanced support. Other Ingredients: Soybean Oil, Gelatin, Vegetable Glycerin, Soy Lecithin, Purified Water, Titanium Dioxide Color. Contains: Soy. Warning: If you are pregnant, nursing, taking any medications, planning any medical procedure or have any medical condition, consult your doctor before use. Discontinue use and consult your doctor if any adverse reactions occur. Not intended for use by persons under the age of 18. Keep out of reach of children. Store at room temperature. Do not use if seal under cap is broken or missing. BCAA 2200 is rated 4.8 out of 5 by 6. Rated 5 out of 5 by Migs1970 from Excellent Been using close to 2 years now and I love the way the product helps me grow! Rated 5 out of 5 by RestrictionEmzyme from BCAAs rock Best (and one of the few left) Gel Caps on the market. I use the powders as well, but these are so convenient and simple. I keep in my gym bag, in my car, at my desk..no mixing, no dirt cup, no need to carry around extra stuff. Rated 5 out of 5 by Tim from Excellent product! 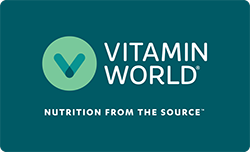 I have been a customer of Vitaminworld for years; first a local store, then online. Either way, Vitaminworld is always dependable; service is first class! Rated 4 out of 5 by Someguywhowroteareview from Prefer capsules over liquicaps but this is a good product. I prefer capsules over liquicaps generally but this is a good product. Anything is better than tablets.